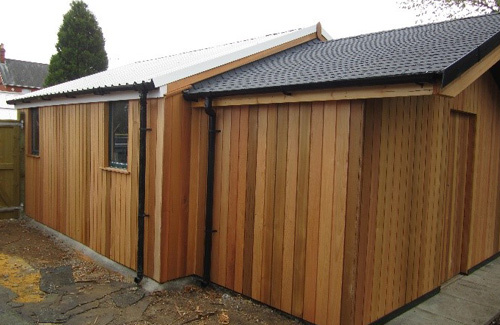 One of our typical outbuilding refurbishment is a garage similar to the one shown in the photo below. 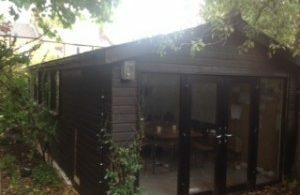 We are often asked whether we can convert them into a fully insulated room, perhaps to be used as an office or gym, or should it be demolished and replaced with one of our new buildings. 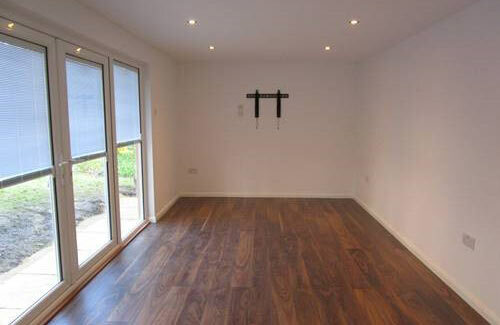 In almost all situations we suggest a refurbishment. 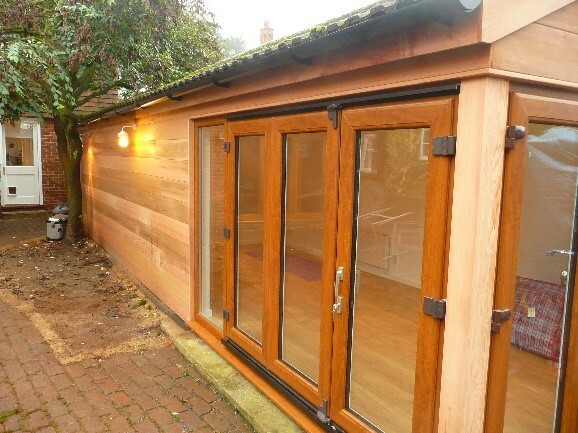 The end result will be just as good, the building will last just as long, it will be fully insulated and completely dampproof – just like a new building. But with good savings along the way. 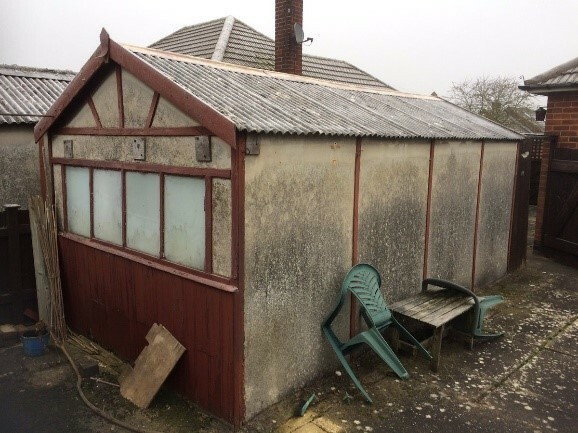 A typical garage will be 5m long x 3.3m wide and 1.9m to eaves, built from concrete panels and either a flat or pitched roof, which in many cases will be covered with asbestos roofing sheets. 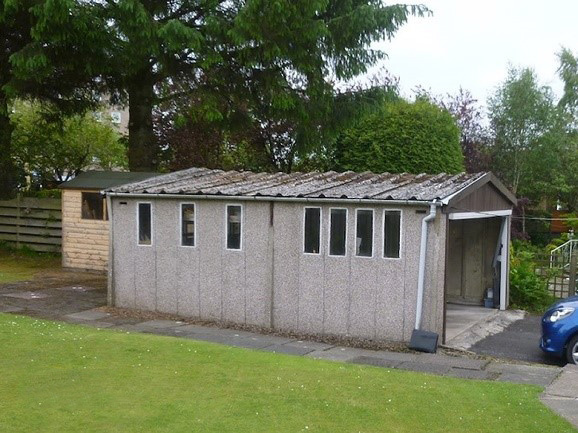 In almost all situations we discard the original roof, finding a reputable local company to dispose of the asbestos roof sheets. 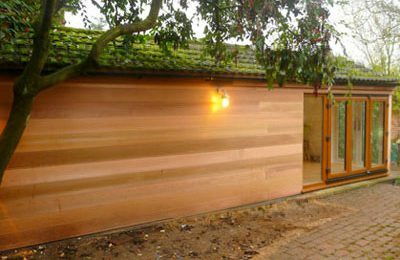 Designed for cars, the floors and foundations are always very strong, which is excellent and a great cost saving compared to starting from scratch. 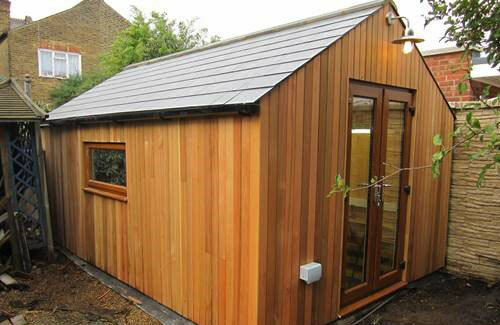 To be built as a permitted development, so not requiring planning permission, the roof can be no higher than 2.5m. (There are exceptions). 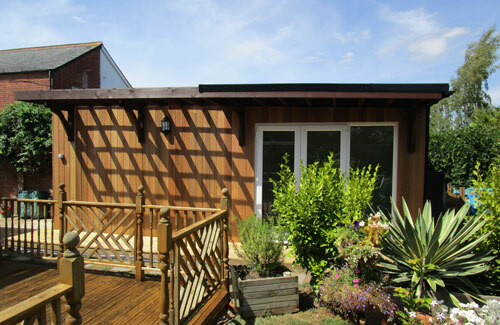 However, one of the most important aspects of a garden room is to include high levels of roof insulation to ensure comfortable use throughout the year. 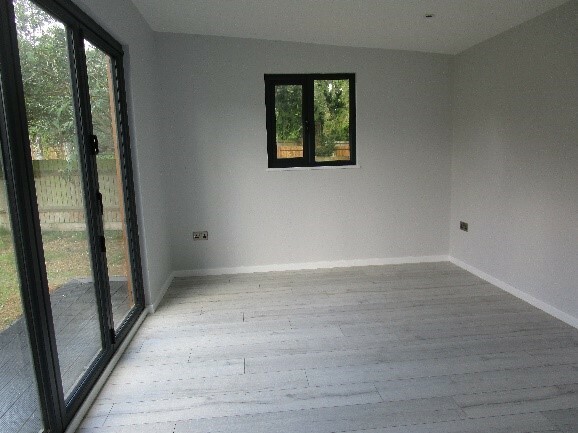 This has a knock-on effect because it means the new roof is much thicker than the old, and when limited to a 2.5m maximum height, the internal ceiling height would be too low, especially as the floor height is raised because it too needs a layer of insulation. 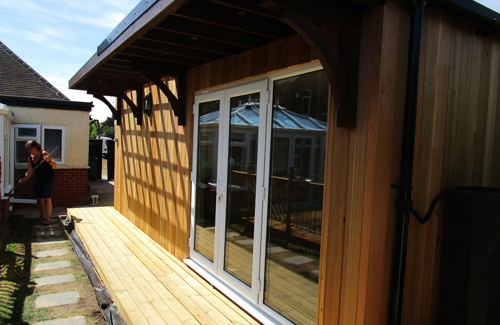 To overcome this, we heighten the walls and build the replacement flat roof, complete with insulation and ventilation gap. 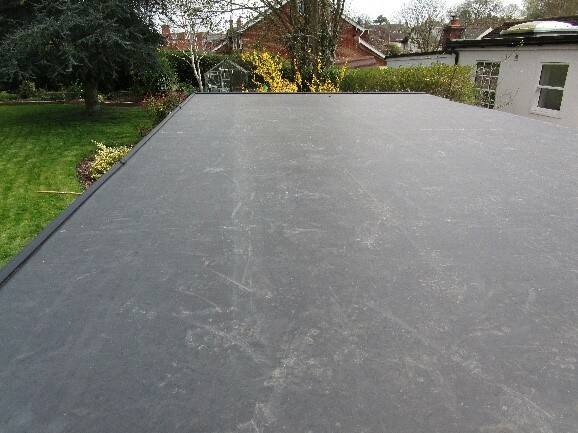 This gives the all-important roof, which when covered with an EPDM Rubber roof system (20-year manufacturer’s warranty) is built to the same standard as if you were building a single storey house extension. 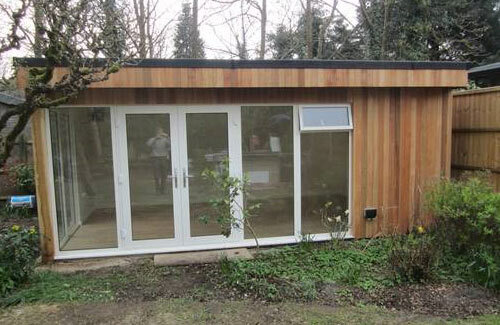 The photo below shows the finished roof. 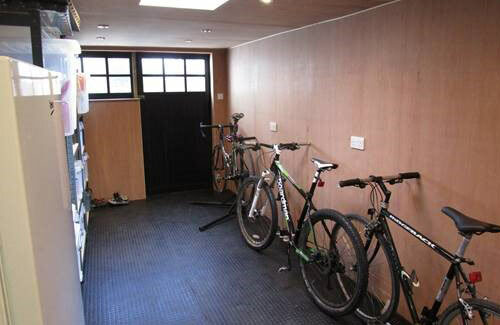 The old garage concrete wall panels are extremely robust, strong and in most cases bolted together. 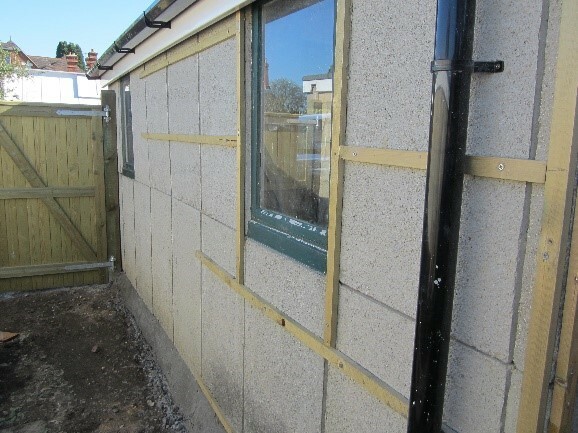 They are expensive to dispose of so it is much better to retain them as the core to the new building’s walls. 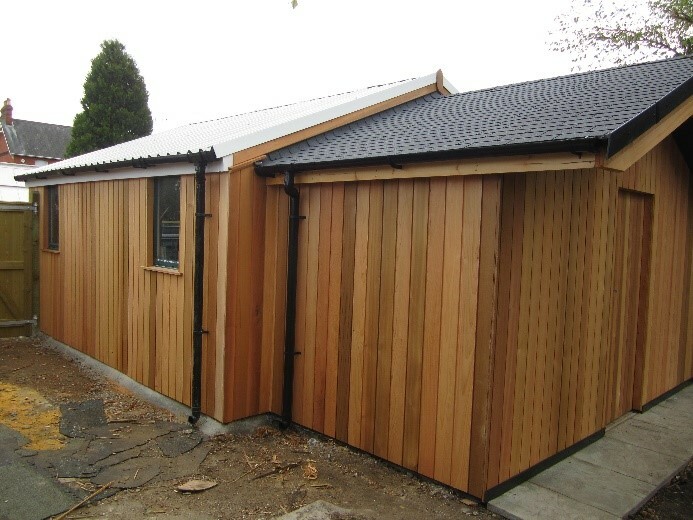 Some of the panels are usually removed to make way for newly positioned doors and windows, and a substantial timber frame is built fixed to their inside face to give the additional height and support for the new roof. 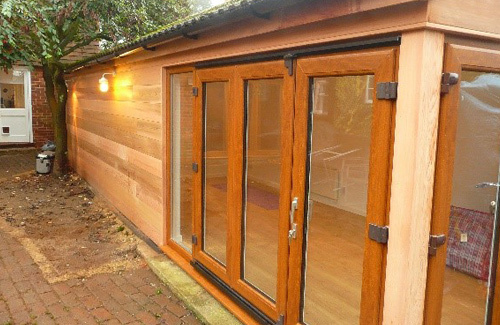 The exterior is in most cases clad with timber, but there are alternatives and you might prefer a new render. 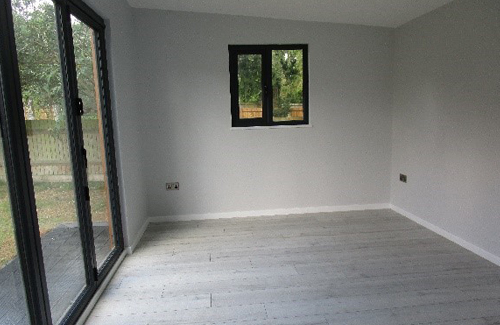 If required, the existing concrete floor is levelled, dampproofed with a specialist damp proofing membrane, and insulated with 50cm insulation sheets, over which floorboards and in most cases laminate is installed. 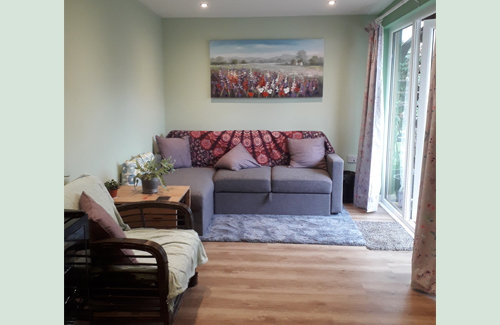 All walls are dampproofed, insulated, dry lined and skim plastered which when complete with good lighting and decorated gives the most fantastic new living space to enjoy all year round. 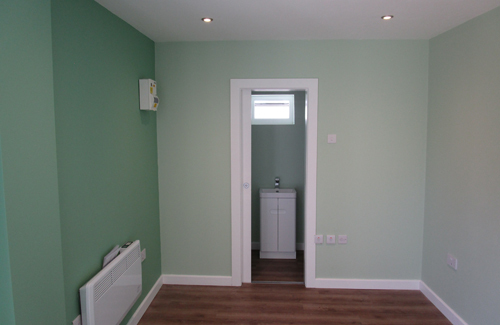 To discuss your plans and ideas please give as a call on 01189 842555 or email enquiries@bathstoneltd.co.uk. 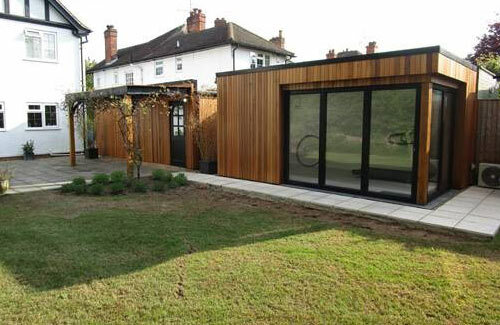 In most cases we will be able to give you an estimated price based on previous work. 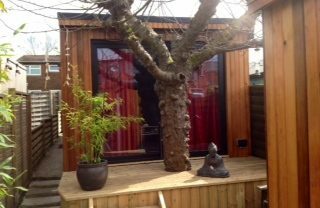 © 2019 Bathstone Garden Rooms. All Rights Reserved.